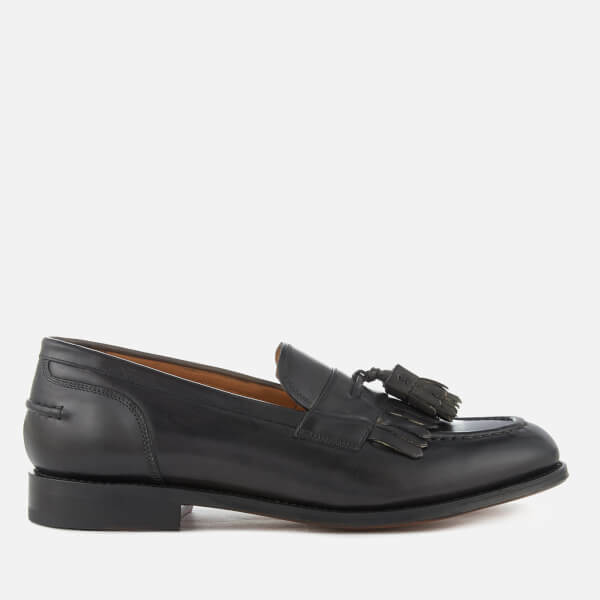 Men’s ‘Mackenzie’ loafers with hand painted, dark grey leather uppers from heritage British shoemakers, Grenson. 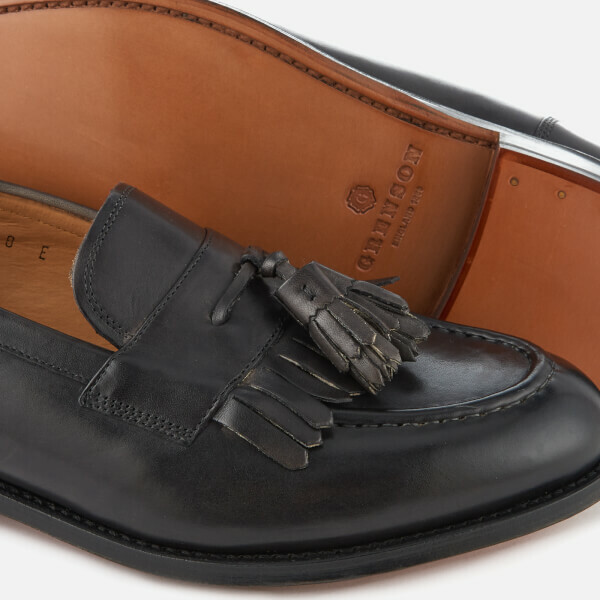 The slip-on shoes are designed with classic fringe and tassel detail to the front, and handsewn apron and back seam stitching. 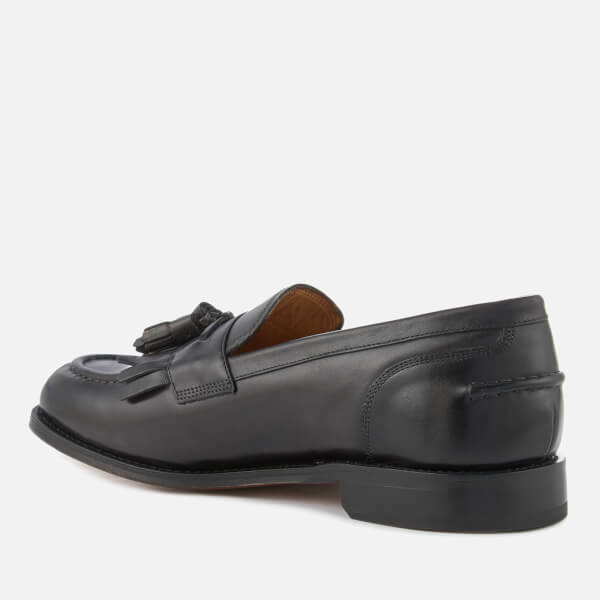 Made on the 201 last, the shoes have a generous, rounded toe and a natural edged, single leather sole with a small heel. 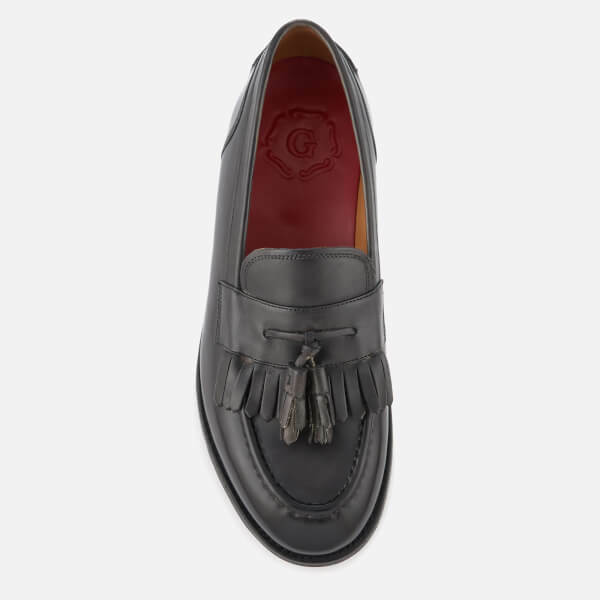 Complete with a rubber insert on the heel for added traction and a red leather footbed with signature branding.